How Long Will It Take for My Case to Reach a Settlement? After an injury, you may find yourself facing numerous costs – from lost wages to medical bills, prescriptions, and even the cost of in-home care while you recover. These costs can add up and make your recovery even more stressful. When you file a personal injury claim, you may realize that the settlement doesn’t come immediately – which may tempt you to accept the first settlement that insurance companies offer you. This is a tactic used by insurance claims adjusters, because they know how desperate you are to get back on your feet financially – and they exploit that desperation with lower settlements than you deserve. While you are in limbo waiting for the settlement to come through, it is important to understand how long personal injury claims can take, and what to expect in terms of settlement – so that you can remain calm and patient, and get the settlement that you deserve. If you have been injured in an automobile accident, and have filed a personal injury lawsuit, you should be aware that it can take anywhere from a few months to years before a settlement – this depends on the circumstances and evidence of your case. Insurance companies will offer low settlements within the first weeks of a claim. These settlements are offered as a way to dissuade you from pursuing your lawsuit further, or even taking the case to trial. It is best to consult your attorney before accepting any settlement – because your attorney may advise you to reject the offer due to the fact that it is not adequate compensation for your damages. Most of the time, these initial offers do not take into account lost wages, future medical costs, or pain and suffering – which means that you should short yourself thousands of dollars. If you do choose to reject the offer, you and your attorney may proceed with the pre-trial preparation, or the insurance company may come back with a second offer. Most settlement agreements are made during the pre-trial period. If your case is highly complex, it could take months or even years to complete the pre-trial phase. Usually, a personal injury claim will reach a settlement during the discovery process, or shortly after it is completed. That is because during this phase, the defense will see the strength of your evidence against them; which often pushes them to settle outside of court. The defendant may offer a new settlement to avoid additional costs of going to trial. If you do have to bring your claim to trial, the process can grow lengthy. But, your attorney may be able to help you with financial issues while waiting for your case to settle. Civil trials can last anywhere from three to 10 days once the jury has been selected and they are ready to begin. However, it can take a few months to prepare the case for trial from the date of filing. It is difficult to predict how long any claim will take to reach a settlement or verdict. If you need to file a personal injury claim for an accident, contact an experienced attorney right away. The team at Van Sant Law, can help. 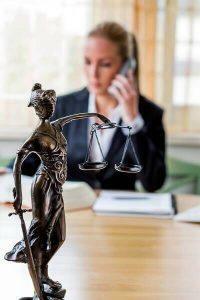 Call us today to schedule a consult with our highly rated attorneys at 404-991-5950 or fill out our online contact form.